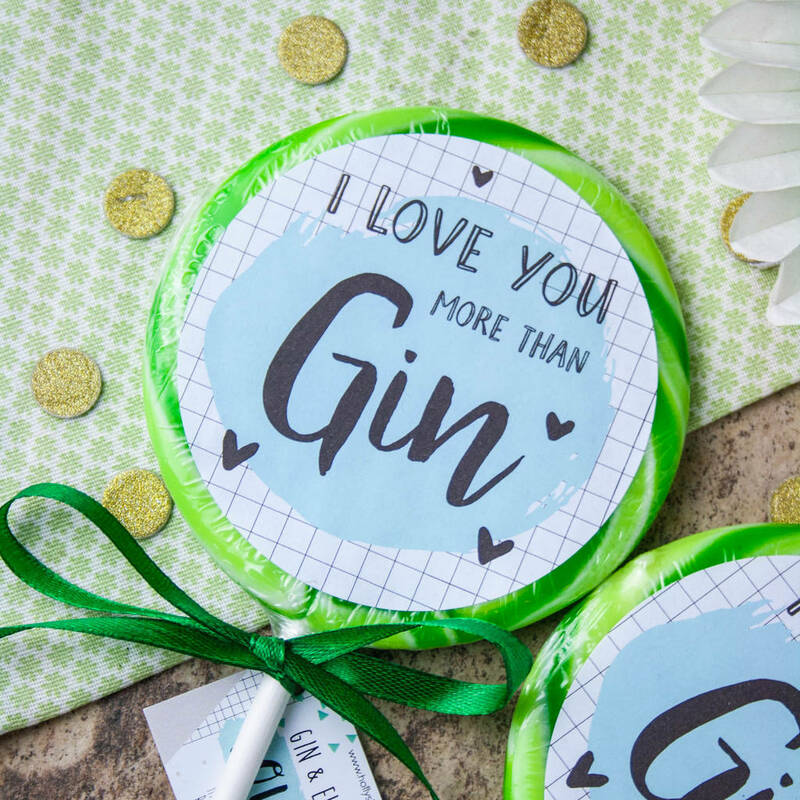 Three delicious boozy lollipops finished with a 'I Love You More Than' sticker, perfect for valentines. lavours in the set are Gin and Elderflower, Raspberry Prosecco and Strawberry Daiquiri - You will receive one of each flavour.Holly's Lollies are made here in the UK using traditional methods. 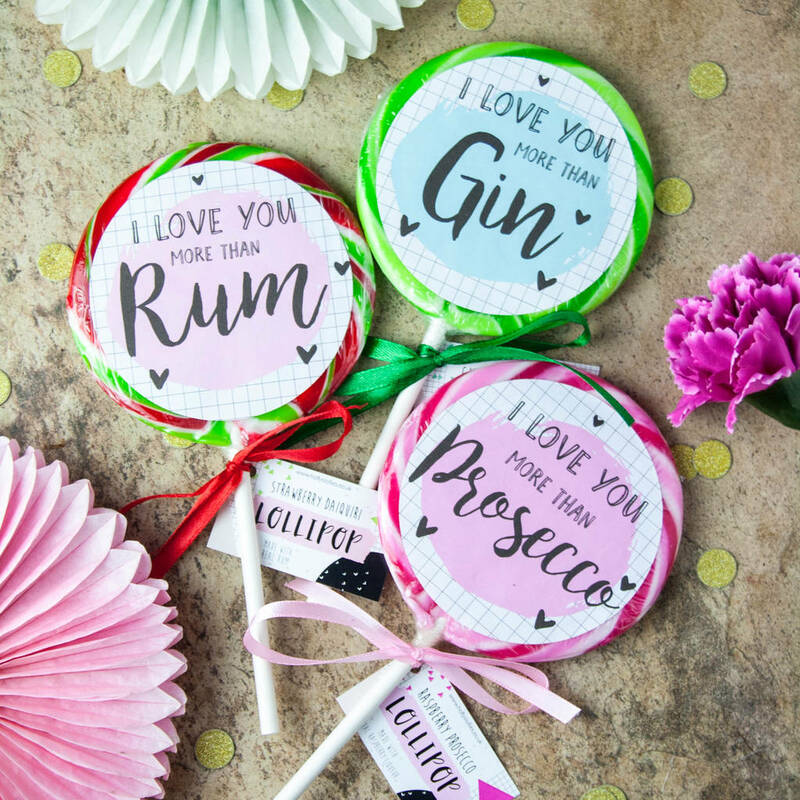 Our delicious alcoholic lollipops are our take on classic confectionery. 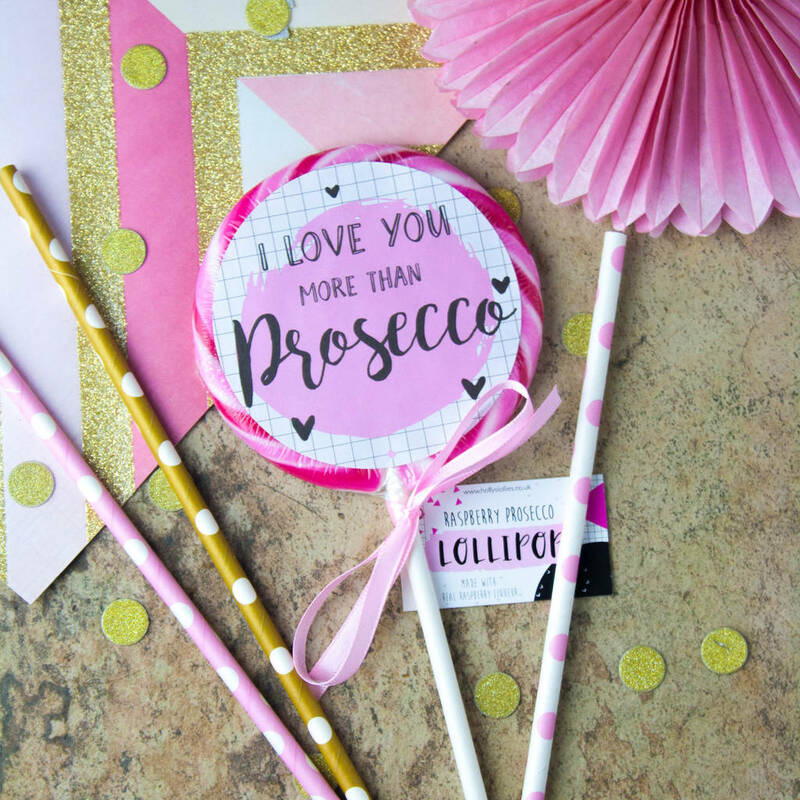 This delicious giant lollipops is perfect for parties, wedding favours and at a hen dos. 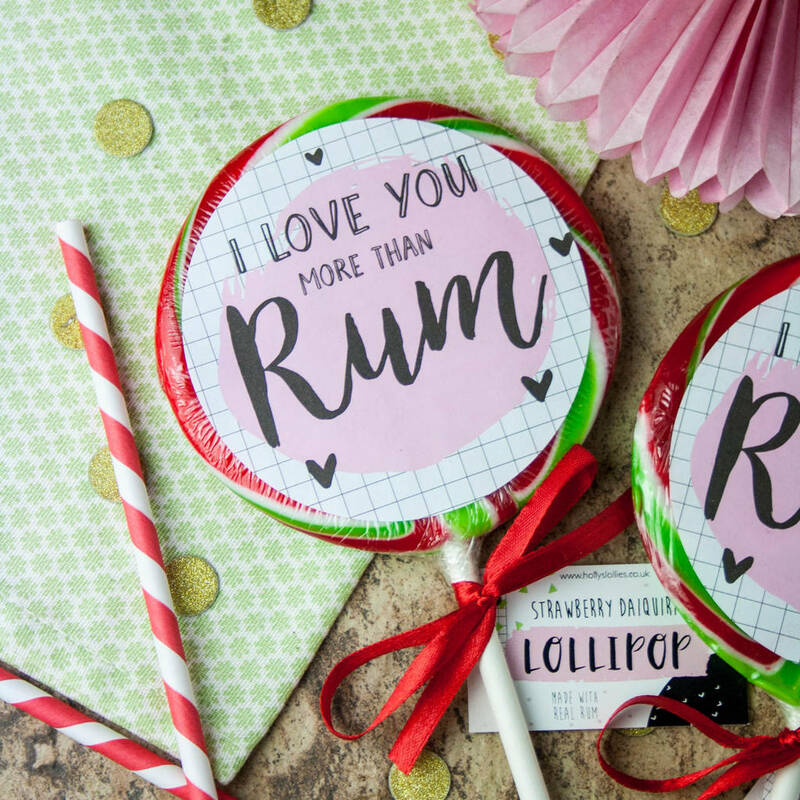 These also make fun and unique valentines gifts that you can't get anywhere else. Hand tied with a ribbon and ready to give as a present for a birthday or just to keep for yourself. Check out our other classic confectoinery for more sweet fun! Each lollipop weighs 90g and had a 4.5 inch diameter. This product is dispatched to you by Holly's Lollies.